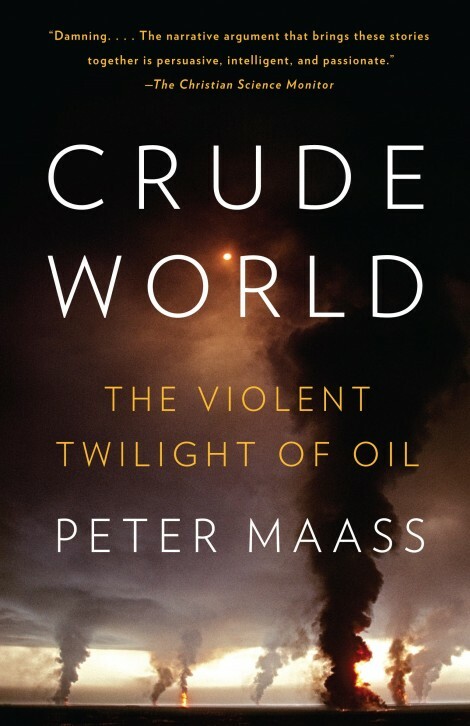 Or so says Peter Maass who is an award-winning investigative journalist and author of the new book by the same name, Crude World: The Violent Twilight of Oil. Maass is a contributing writer at The New York Times Magazine and he has also written for The New Yorker, The New Republic, The Atlantic Monthly, Outside and Slate. His first book, about the war in Bosnia in the early 1990s, was entitled Love Thy Neighbor: A Story of War. Crude World examines how oil has wreaked devastation around the world while enriching the few. He spent 8 years traveling the globe to discover the true costs of oil production both to the planet and to the countless millions living in poverty in rich oil producing regions. Click the audio player above to hear my interview with Peter Maass or to download the interview, right click here and select ‘Save As’ or ‘Save Target As’. Don’t forget all earthgauge interviews are available as podcasts on iTunes. Here’s the promo blurb for the book: Every unhappy oil-producing nation is unhappy in its own way, but all are touched by oil’s power to worsen existing problems and create new ones. Crude World explores the troubled world oil has created—from Saudi Arabia to Iraq, Russia, Nigeria, Venezuela and beyond. The book features warlords in the oil-rich Niger Delta, petro-billionaires in Moscow, Americans in Baghdad, the gesticulations as well as the politics of Hugo Chavez, and officials in Riyadh who avoid uncomfortable questions about Saudi reserves. A journey into the violent twilight of oil, Crude World answers the questions of what we do for oil and what oil does to us. I also recommend checking out Maass’ latest article for Foreign Policy journal, which examines the connection between oil, war and American military spending. A key question the story asks is this one—“To what extent is oil linked to the wars we fight and the more than half-trillion dollars we spend on our military every year?” The quick answer is, it’s strongly linked, and it costs a lot.